Looking for a new perspective? Wanting Christian reflections to inspire your justice work, the discussion in your small group or the worship in your congregation? 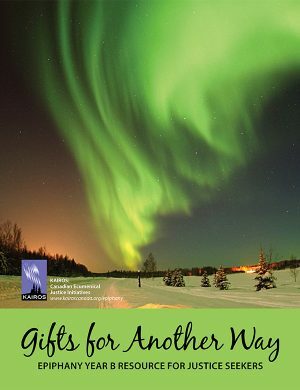 Gifts for Another Way is a worship and devotional resource for the Season of Epiphany (January to February). 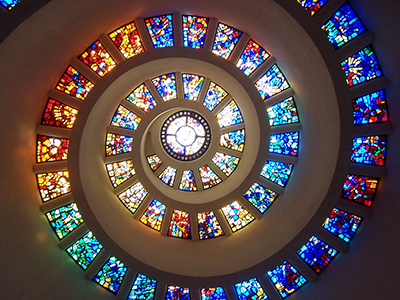 It follows the lectionary scriptures and includes theological reflections from diverse members of our ecumenical community; children’s reflections; prayers; an outline for a full ecumenical service; and connections to our justice work. Download Gifts for Another Way. An abridged version is available in French, free of charge. Agnes Wasuk Petia and Awak Deng have an important message. This week they are delivering it to Canadian parliamentarians in the final leg of their seven-city, four-province tour. 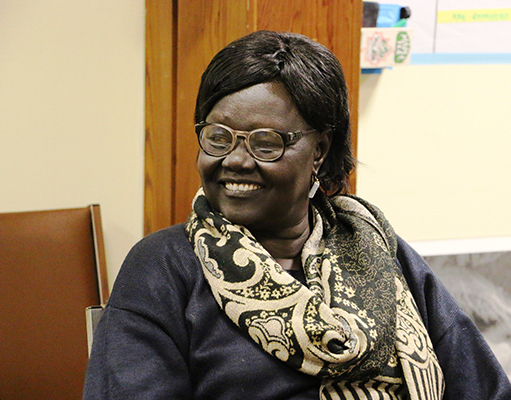 In public presentations, church services, media interviews and meetings with MPs, they are asking Canada to support women-based grassroots organizations as effective peace building agents in conflict zones, including South Sudan. CBC Thunder Bay – ‘Be the spark’: South Sudanese women call on Canada for help, November 30. This includes an excellent online article and moving seven minute radio interview. 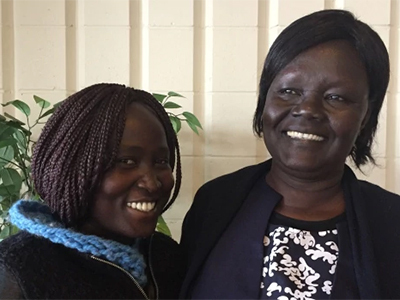 Regina Leader-Post – Advocates call for more support from Canadian government for women in South Sudan, December 3. Agnes and Awak were also interviewed on CBC Manitoba’s Radio Noon on December 1 and CBC’s Saskatchewan Weekend on December 2. CTV Regina covered the event in Regina that day as well. On December 11, TVO’s The Agenda will tape an interview with Agnes, Awak, and Rachel Warden, KAIROS’ Women of Courage Coordinator. We will let you know the air date once that information becomes available. In Ottawa, our guests met parliamentarians at a breakfast hosted by the All-Party Women’s Parliamentary Caucus and the Canada-Africa Parliamentary Association, and participated in a meeting with the South Sudan division of Global Affairs Canada. On December 7, at a panel event at the University of Ottawa, Celina Caesar-Chavannes, Liberal MP and Parliamentary Secretary to the Minister of International Development, and Hélène Laverdière, NDP Critic for Foreign Affairs, responded to the Sudanese women’s presentations in the context of Canada’s new Feminist International Assistance Policy and National Action Plan on Women, Peace and Security. The Hill Times – Investing in grassroots women’s groups is our best hope for global peace, December 6 (an op-ed by Jim Davis, KAIROS Africa partnerships coordinator). A Christmas donation to KAIROS is one important way to accompany and support Agnes and help ensure that her essential peace-making work carries on. If you like, you can make a donation online as a Christmas gift for someone special. Just go to the Gift of Sharing section of the KAIROS donation web page – kairoscanada.org/donate. We’ll send a card to the person you name and include a message from you if you wish. Justice Minister Jody Wilson-Raybould announced on November 20 that the Government of Canada will support private member’s Bill C-262 when it comes up for second reading, which began on December 4 in the House of Commons. Support for Bill C-262 was a key part of KAIROS’ Let Justice Roll Campaign, which was launched in the Spring and calls on Canada to revise all relevant federal legislation so that it is consistent with United Nations Declaration on the Rights of Indigenous Peoples. While KAIROS applauds Minister Wilson-Raybould’s announcement, it does not mean the bill will pass second reading. Your continued support is needed to ensure that Parliament passes Bill C-262. 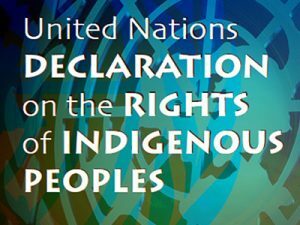 Implementation of the UN Declaration fulfills the commitments and covenants made with the Indigenous Peoples in Canada. Read more and take action! 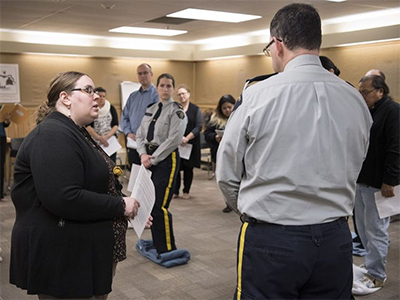 KAIROS Canada is pleased to announce that starting December 5, the Regina-based RCMP Academy will use the KAIROS Blanket Exercise to train all new cadets. Read more. On December 4, KAIROS led the RCMP Academy instructors in the exercise as part of their training to introduce the exercise to cadets. Read CBC Saskatchewan online coverage. 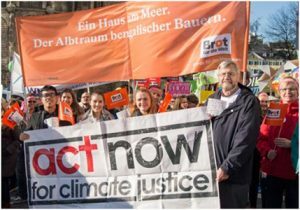 The twenty-third session of the Conference of the Parties and UN Climate Change Conference was held in Bonn, Germany from November 6 to November 17. KAIROS reflects on the conference and how to move forward in the transition to a just and clean energy economy. Read more. 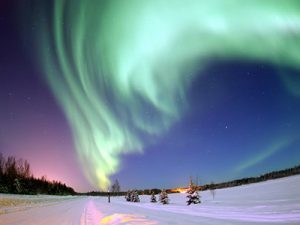 In an open letter to Prime Minister Justin Trudeau and Ontario Premier Kathleen Wynne, prominent human rights and environmental organizations, including KAIROS, urge the federal and provincial governments to ensure people from the Grassy Narrows First Nation have access to specialized, long term medical care for mercury poisoning. Read more. 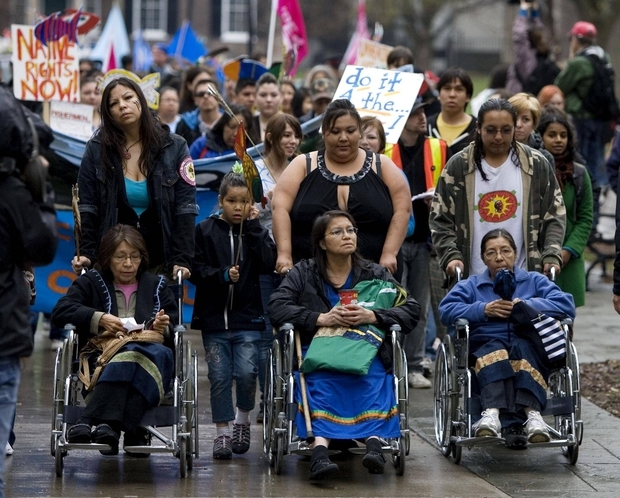 Soon after, the federal government announced that it will commit to a specialized medical treatment facility close to Grassy Narrows for people suffering from the effects of mercury poisoning. Read more. I met Ada in the sanctuary of the small chapel on Geneva Street in St Catharines, Ontario. As Ada took us around, she talked about enslaved Africans escaping the USA through the Underground Railroad, assisted by women like Harriet Tubman, who lived for several years nearby and worshipped at the chapel. Ada described groups coming from all over the US and Canada to visit this chapel, descendants of liberated former slaves celebrating their history. Read more. Social justice and the protection of the weak and the powerless are central in Jesus’ identity and mission. Read more.